ALBUQUERQUE, NM– The New Mexico Activities Association would like to highlight the following important information regarding the 2018 State Military Skills Competition. The State JROTC Military Skills Competition will take place on Saturday, April 7th at Albuquerque and West Mesa High Schools. Thirty schools from around the State will compete in drill, physical fitness, and air rifle events. Armed Drill, Unarmed Drill, Color Guard, and Physical Fitness will take place at Albuquerque High School from 9:00am until 3:30pm. Air Rifle will take place at West Mesa High School during this same time. Armed and Unarmed Drill will consist of Inspection, Regulation Drill, and Exhibition Drill. Color Guard will consist of Inspection and Regulation Drill. Physical Fitness will consist of pull-ups for males, flex arm hang for females, crunches, and a 1/2 mile run. 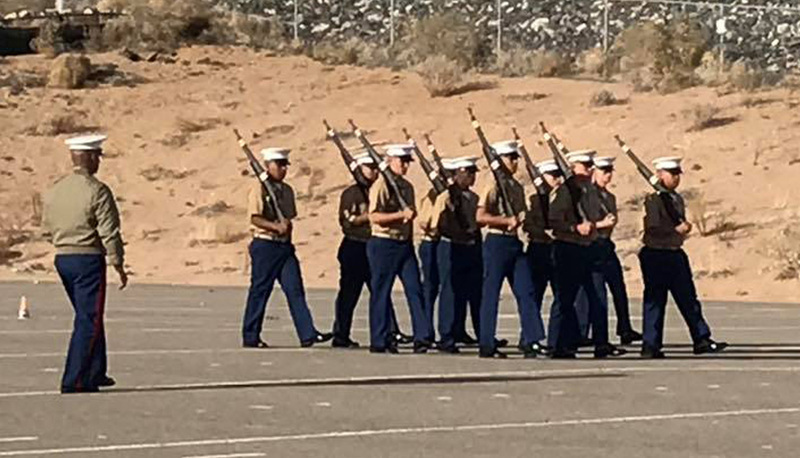 The Air Rifle Competition at West Mesa will consist of Sporter Rifle for first year or inexperienced cadets and Precision Rifle for more advanced cadets. The Precision Rifle is the same type of rifle fired at the Olympics. The award ceremony for both drill and rifle will take place at the Albuquerque High School Main Gym at approximately 5:30pm. Point of Contact at AHS is Lt Col Gomez. POC at West Mesa is Maj Jim Koerber. *For more information regarding this event, please contact LTC Gary Gomez, Albuquerque HS JROTC Instructor at (505) 589-1961.